If you are looking for a lot of features and a versatile interior, you could definitely do better than this machine. Even from Bosch there are models that are more advanced than this one. However, the Bosch SMS50C12UK does deliver on all of the most important points. It provides great cleaning, it has all of the settings that you need and it is built to last. When you consider what you are getting for the price, it makes this model a great buy. 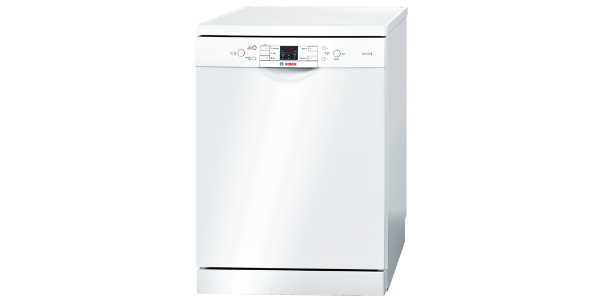 For a reliable dishwasher at a reasonable price, the Bosch Serie 4 is a real winner. It may not be the most advanced machine that you could get from this manufacturer, but it performs well and it is well made. Further, it provides a good level of energy efficiency with an estimated usage of 258 kilowatt hours per year. The SMS50C12UK is designed to hold up to 12 place settings. The interior of the machine is pretty good in regard to flexibility. It has folding racks in the baskets, and you can adjust the height of the top basket. 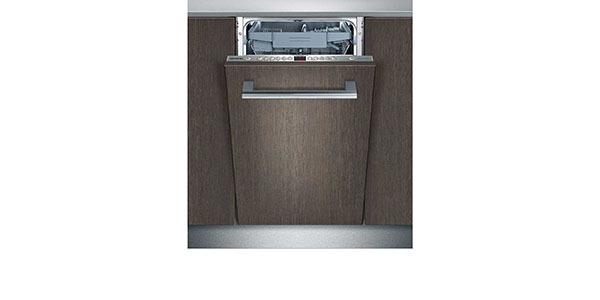 The user also has the option of washing a full load or they can use the half load feature when there are fewer dishes that need to be washed. 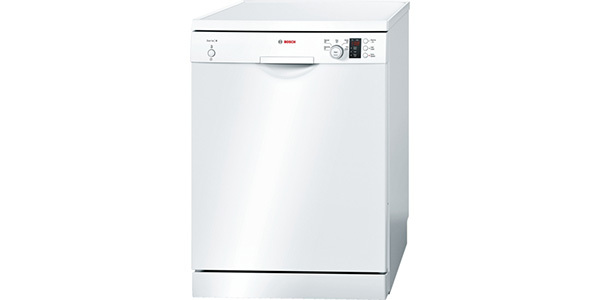 This is a simplified washing machine from Bosch. That means that you will not get all of the brands top features, but it is very easy to use. 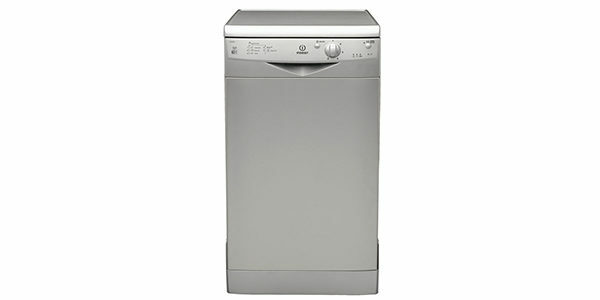 It has a dial for selecting the wash program, and you have buttons to equip features like VarioSpeed and the half load. In addition to that, the control panel has a small display with a countdown timer and indicator lights to let the user know when the salt or rinse aid is low. With the programs and features on this model, the user gets everything that they need, and a couple of extras. The machine comes with an intensive wash, normal wash, pre rinse, economy and quick wash. All of these cycles perform well for their intended purposes, but some of them do run a bit long. If you want to save money with the eco wash, it takes about three and a half hours to complete. With the exception of the quick wash, the programs do run a bit long, but you can use the VarioSpeed feature to reduce the times. This is a convenient feature if you want the dishes cleaned in less time, but it does take away from the efficiency of the SMS50C12UK. For reliability, most buyers will find that this machine is a good value on that front. The machine is well made with a stainless steel interior. It also has a flood protection system and a self-cleaning filter. 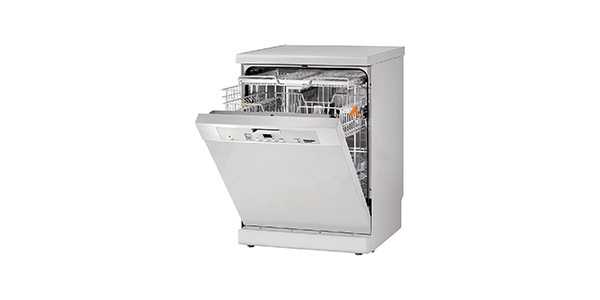 All in all, it is a low maintenance dishwasher that should last the user a long time. 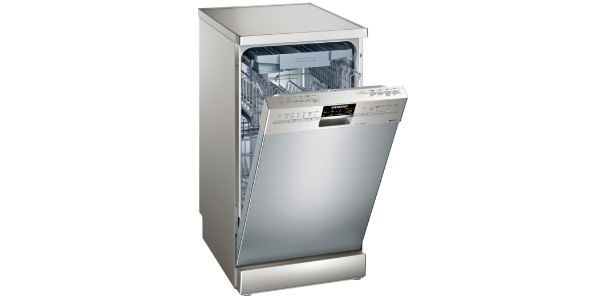 The quick wash works well if you need some dishes cleaned quickly, but it only works well for dishes that are lightly soiled. 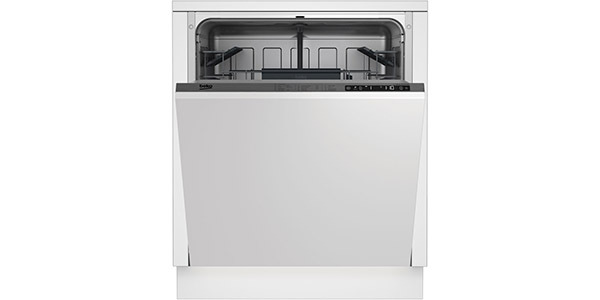 I want to buy this dishwasher: who is the cheapest? how can i find this out? Please help me do this : I have not managed to do this so far! Thank you!